SUPER HIGH ME: pairing tall socks and high tops with a long sweater for a casual look. Seattle spring means you wanna look fresh and spring-y but still need to stay warm. It's usually a bit chillier than it looks. 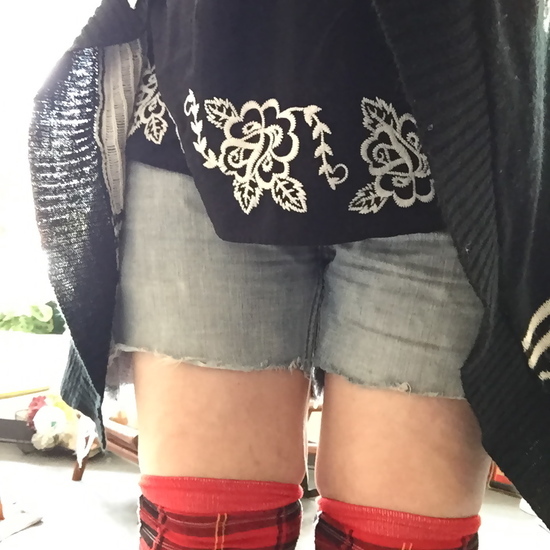 No problem when you've got a fun and funky thrifted sweater to pair with a super old pair of thigh high socks (first worn here!) and a extra funky pair of kicks: super high, high tops sneaks.